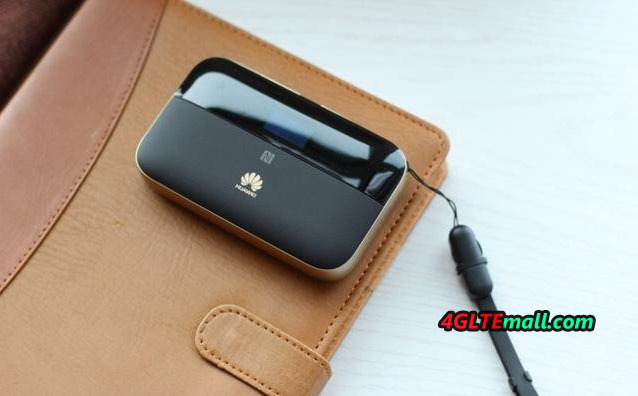 Huawei recently introduced a new 4G Mobile router as a successor to the popular Huawei E5770 Mobile WiFi Pro Hotspot: the Huawei E5885 (Mobile WiFi Pro2). The LTE router offers a 6,400 mAh strong battery, which is to allow up to 25 hours of operating time and, of course, besides the usual WLAN, an RJ45 LAN connection is again available. The integrated LTE modem is twice as fast as the predecessor with up to 300 MBit/s for download. The Huawei E5885 is only available in Asia now. In Europe, the device is only yet available. The E5885Ls-93a version, which is currently available in the online market, is intended for the Asian market. Most of the packaging is labeled in Chinese or English and the supported frequency bands mainly take into account the Asian needs. Nevertheless, according to the data sheet from Huawei, the Huawei E5885 also supports all LTE frequency bands (volume 3, 7, 8, 20) which are important for Europe areas. Also UMTS on 2100/900 MHz and GSM network are supported. 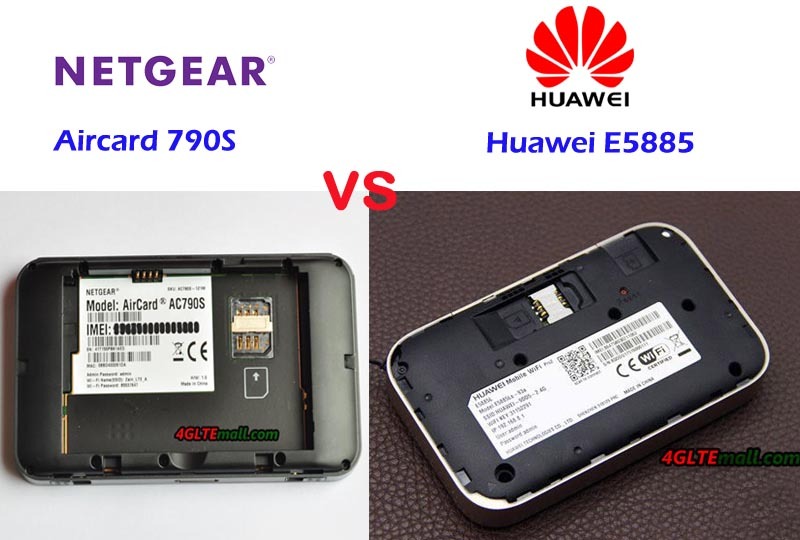 In comparison to the predecessor Huawei E5770, the speed is also important to note: the support of LTE category 6, ie up to 300 MBit/s in the downlink and up to 150 MBit/s in the uplink. LTE Cat6 with channel bundling (Carrier Aggregation) is now used by many network operators and therefore one should notice the improved modem in some situations. 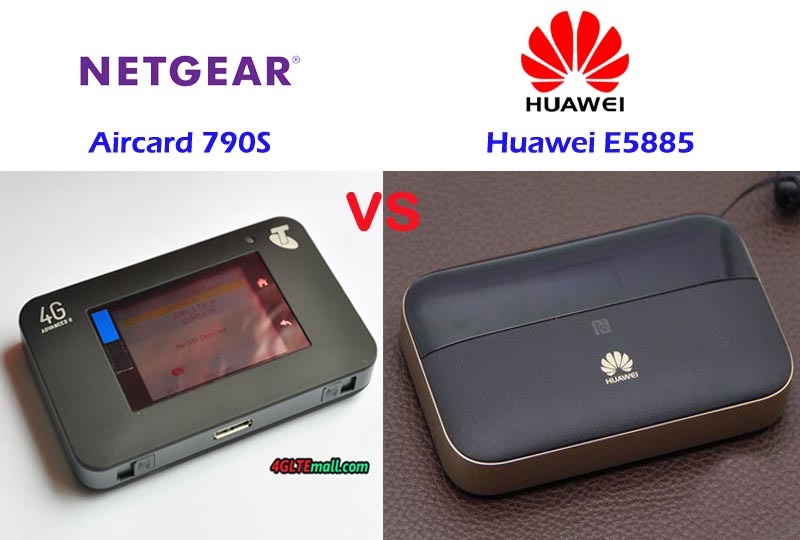 However, it is not particularly advanced, because the Netgear AC810 LTE Hotspots have been available for long time, which can reach 600 MBit/s (LTE Cat12) for download. 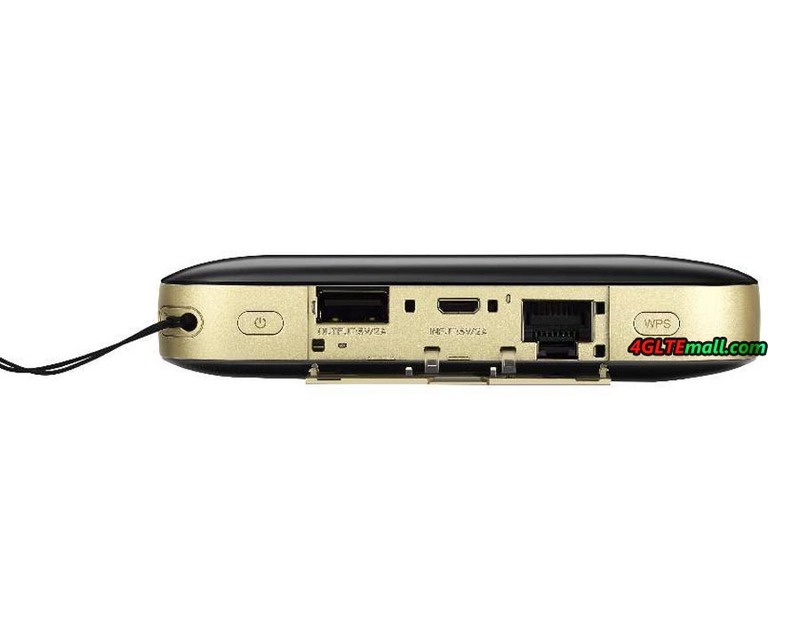 The Huawei E5885Ls-93a is particularly interesting because it offers a full RJ45 LAN connection. This allows devices without WLAN to be connected to the network without any problems, without the need for additional software, as well as to use the Ethernet port for Internet access and to use the E5885 as a WLAN hotspot without mobile radio. Something strange, however, appears the fact that the connection is a “normal” 100 Mbps LAN connection, where the LTE modem can use up to 300 MBit/s. If you want to use the full modem speed, then must be forced on Wi-Fi. According to Huawei, up to 32 devices can be supplied simultaneously with the Internet, the speed should be better thanks to 802.11ac standard (2.4 GHz and 5 GHz) in the best case than over LAN. Another unique feature of the Huawei E5885 Mobile WiFi Pro2 is the huge 6.400 mAh battery. Up to 25 hours of operating time should be possible. As an alternative to the predecessor, the device can be used as a power bank, for which a corresponding charging cable is already included in the package box. 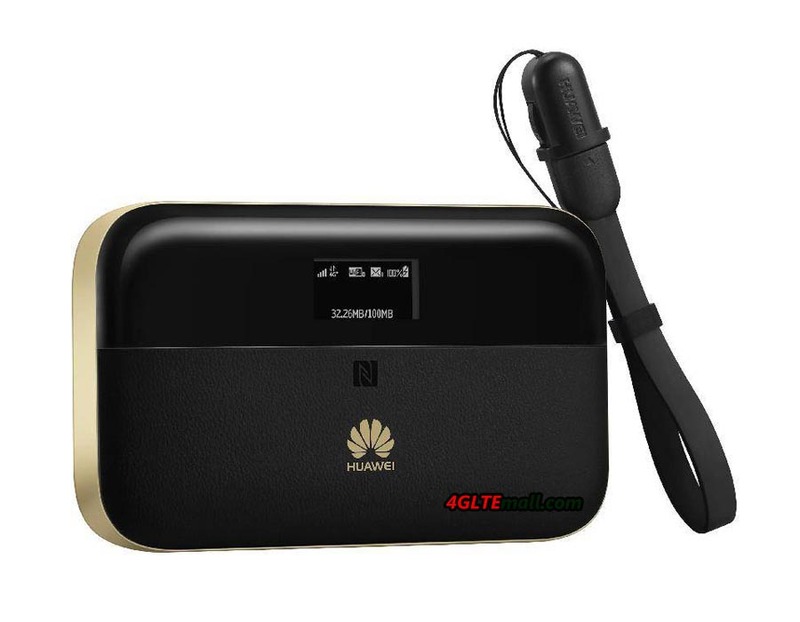 Huawei E5885 is a good mobile 4G Router with powerful function for multiple situations. It’s cool in appearance and supports LTE advanced network. 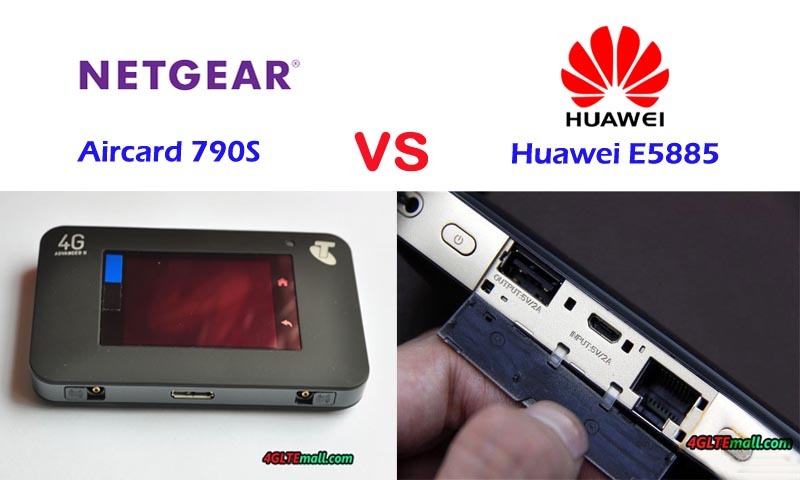 When Huawei presents the English versions for global market, we suppose it would be great gadget star in future. In the new Mobile WiFi Pro 2, a rise of WiFi with features bringing WiFi 802.11ac and 5 GHz. It also gains a rise in battery capacity from 5200 to 6400 mAh and is offered the ability to be able to recharge other devices via its full-size USB port (in addition to its microUSB charging port). Of course, the RJ 45 Ethernet port and the 0.96 inch OLED screen are retained. The Huawei Mobile WiFi PRO 2 also recovers the band 2600 MHz in FDD that did not have in its predecessor E5770. The wrist strap could work as a USB charging cable, which is a special and good design. Two colors will be available, Black & Gold and Pink & Gold. The Mobile WiFi Pro 2 E5885 is compatible with the following LTE bands: 1/3/5/7/8/20 (800/850/900/1800/2100/2600MHz) in FDD, and in addition the 2600MHz in TDD (38). Here now, the Huawei Mobile WIFI PRO 2 was launched in Saudi Arabia and China, we suppose it will be available in Europe later soon. In the internet era, we need surf internet anytime and anywhere, but when going outside, the unstable WiFi and expensive charge on 4G may be a big problem for those who want high quality data transmission. And then the Mobile WiFi Hotspots are becoming a good solution for this. Today, we would introduce a new Mobile Hotspot from Huawei, and let’s see what’s new it bring to us. The new model is named Huawei E5885 Mobile WiFi 2 Pro, more specifically; the model number is Huawei E5885Ls-93a. We suppose there will be other model numbers for various network providers over the world. If the new brother model available, we would also introduce. 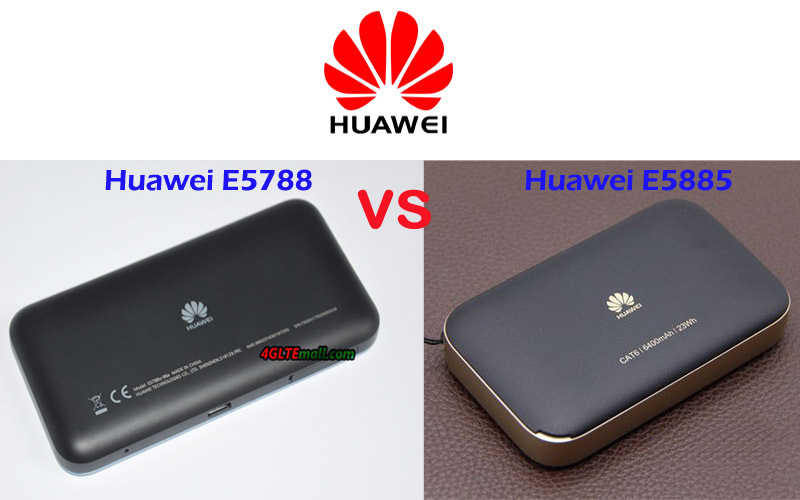 Following the design from first generation of Huawei Mobile WiFi Pro E5770, the Huawei E5885Ls-93a is in cuboids shape, but it’s thicker and more elegant than E5770. The size of E5885 is just as large as one hand and user can easily take it in hand or pocket. It also looks like a common mobile power bank, actually, it can work as a mobile power bank to charge other devices by USB cable. The top half of the front is made of black plastic material, where there is a 0.96 inch OLED screen in the middle. The screen function is similar to its predecessor huawei E5786, but not a touch screen like Huawei E5787 mobile WiFi Touch. When the Huawei Mobile WiFi Pro 2 working, the screen would show the network connection status, battery status, signals, SMS and WiFi connections etc.. 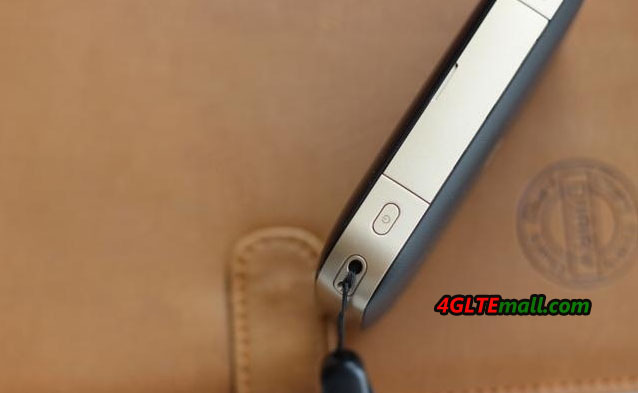 The rest half of the front is made of leather, which makes the Huawei E5885 very soft so as to have a very good touch feel. And we can see, the Huawei logo is just printed on the leather at the below side of the LED screen. 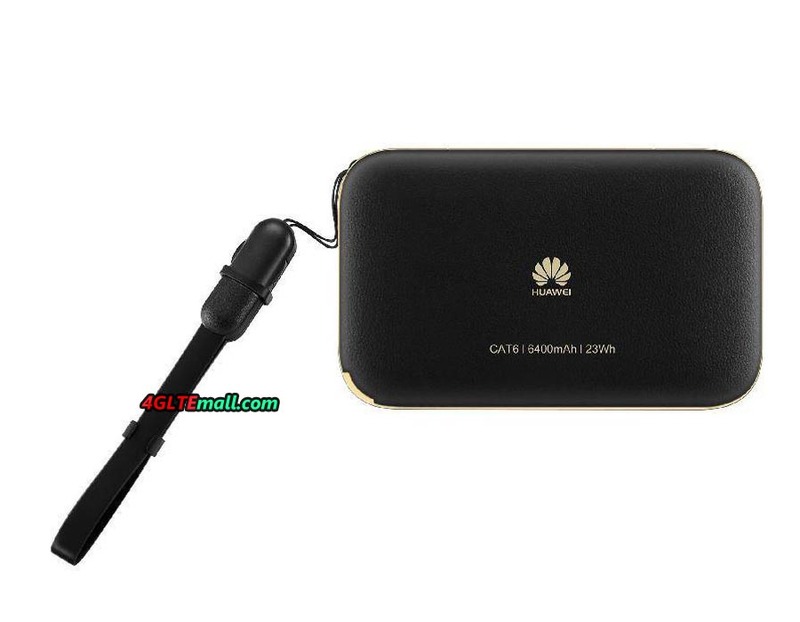 The back cover is also made of leather with Huawei logo and the words “CAT6/6300mAh/23Wh”, which means the E5885Ls-93a could support LTE Cat.6 and has large battery of 6400mAh to have 23 hours continuous working time. 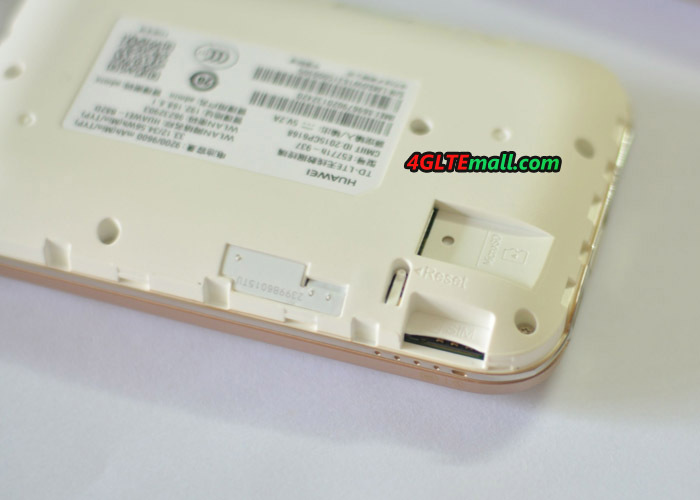 The back cover of the Huawei E5885 could be opened and we can see the SIM card & Micro SD card slot with one Reset hole. 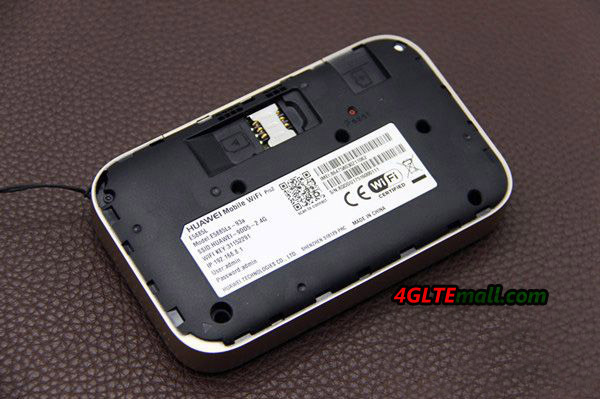 Huawei E5885Ls-93a uses Micro SIM card. The Huawei WiFi 2 Pro could support maximum SD card storage up to 32GB, and the data could be shared through the WiFi in the connected users. 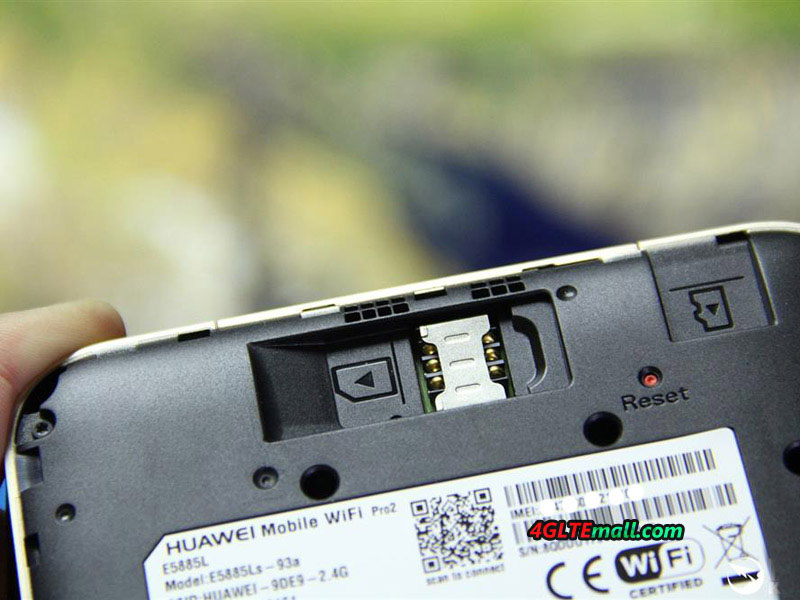 At the side of the SIM card slot, there is a small label which indicates the name of this device: Huawei Mobile WiFi Pro2 E5885L and model number E5885Ls-93a. And the SSID, WiFi key, IP address, IP log in user name and password. There is also one QR code, where user can scan to connect, and the IMEI number, S/N number, certified logos are listed below. 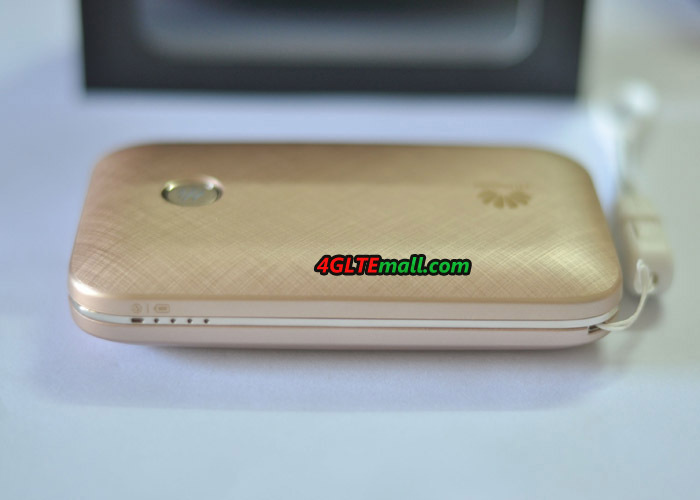 The round side of the Huawei E5885 is made in champagne gold color, which makes the WiFi Pro 2 looks very cool. On the top edge, the WPS and power button are located at each side. Open the cap between them, we can see the 5V/2A output USB port, Input 5V/2A port and one RJ 45 Ethernet port. 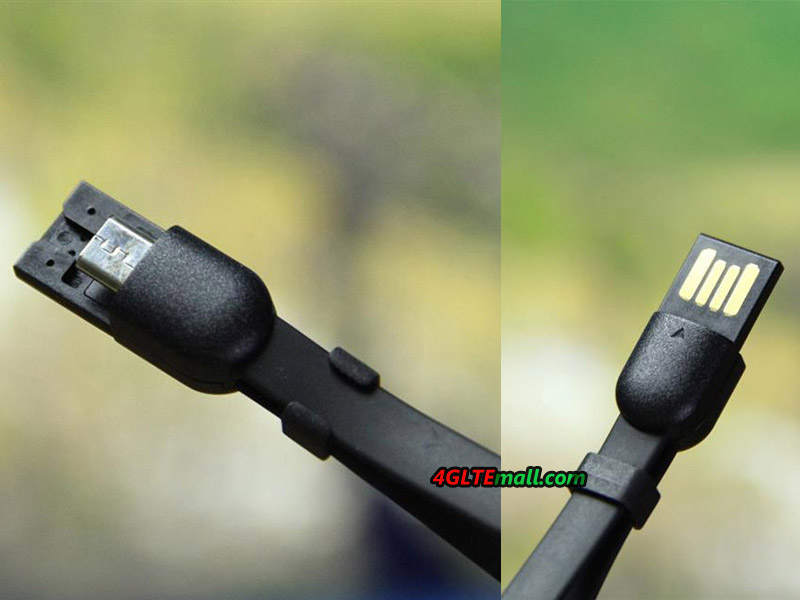 With the Huawei E5885, there is a sling which can not only hang the device but also work as a USB cable. It’s very useful for user to hold the E5885 WiFi pro 2, and charge other device. 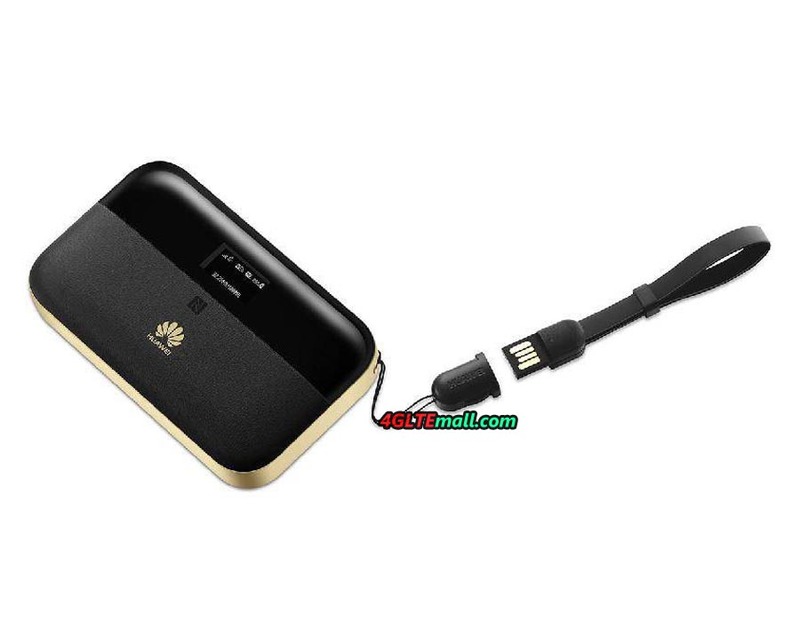 We see the design is also available on the Huawei E5770 mobile WiFi Pro and it’s really a good design. 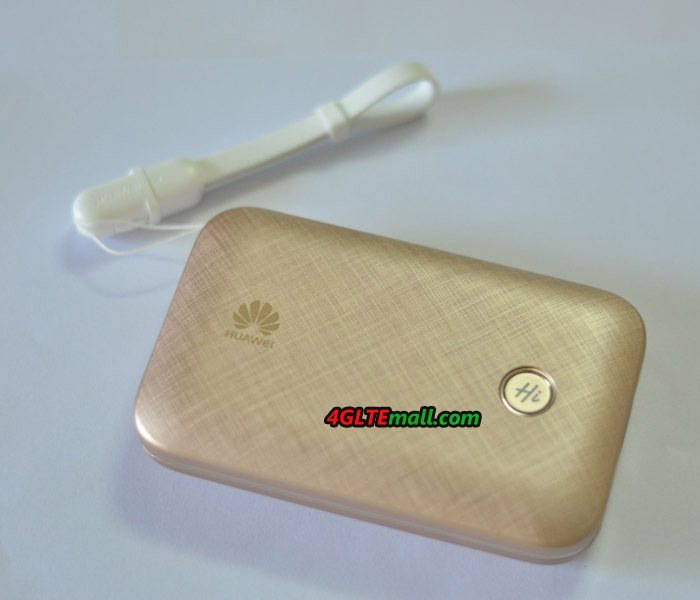 The Huawei Mobile WiFi 2 Pro is easy to use, user just need one valid SIM card with data plan, plug into the SIM card slot and power on, then there will be WiFi available for internet connection. The SIM card needs to be Micro SIM. User can see the network mode, data used and left, battery status in Huawei HiLink APP through smartphones. And user can also setup the WiFi mode, single band or dual band (2.4GHz and 5GHz) are both available. Of course, we can also see the data used and network mode & provider’s name on the OLED screen. 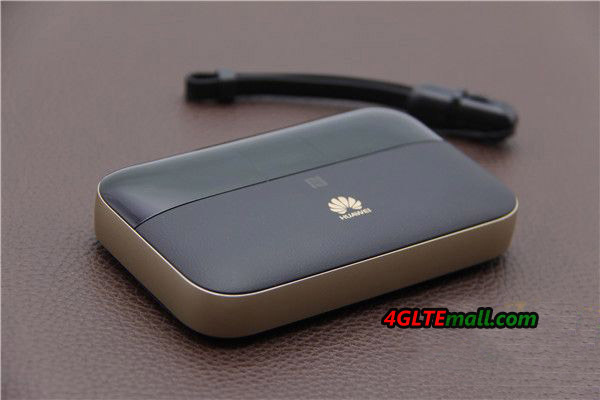 If only Ethernet cable is available for internet, Huawei E5885 Mobile WiFi Pro 2 can also show its function. Just plug the Ethernet cable to the RJ45 port and configure the settings through Hilink APP or web interface, you can then access internet. We suggest downloading the Hilink APP, connecting with the Huawei E5885 WiFi and open the APP for settings. To be more secure, you can also change the log in user name and password. The whole process is very simple and user can also do further settings if necessary. The Huawei E5885L can also work as a WiFi repeater, which means the WiFi PRO 2 can get connected with the existing WiFi from other gateway or router, just like a phone connecting to WiFi. After connected, the Huawei E5885 can extend the WiFi coverage for more space. However, if the Huawei E5885 is already connected with Ethernet cable, the WiFi repeater function would be unusable. The Huawei E5885 is very smart in application. There is battery-saving function, when it’s activated, the WiFi Pro 2 would automatically close the WiFi if long-time data transmission so as to save battery. Sometimes, user may need setup a special WiFi for visiting guest, the Huawei E5885 can provide this function and if don’t need it, user can close this function easily from Hilink APP. 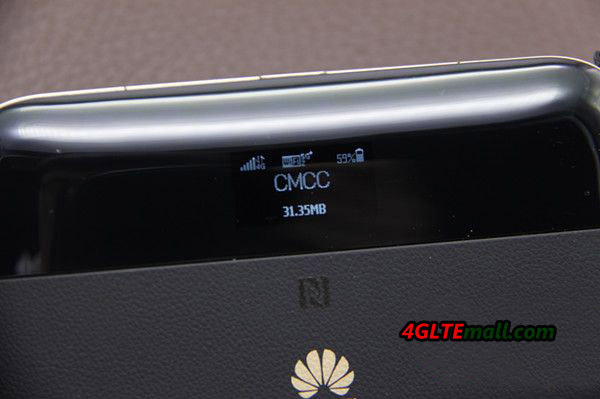 The users connected with Huawei E5885 WiFi can share the files or videos in Micro SD card easily, what’s amazing is that the sharing would not cost any data, so it’s called ”Zero data consumption sharing”. It’s better to share the files, images or videos through the Huawei Hilink APP. The Huawei WiFi 2 PRO also supports sending short messages. In our test, the Huawei WiFi 2 Pro would provide stable and fast internet connection. With the support 300mbps download speed on LTE category 6, Huawei E5885 can switch to the fastest network mode available so as to provide the best support for data transmission. It can definitely meet the common requirements whenever you are at home or going outside. 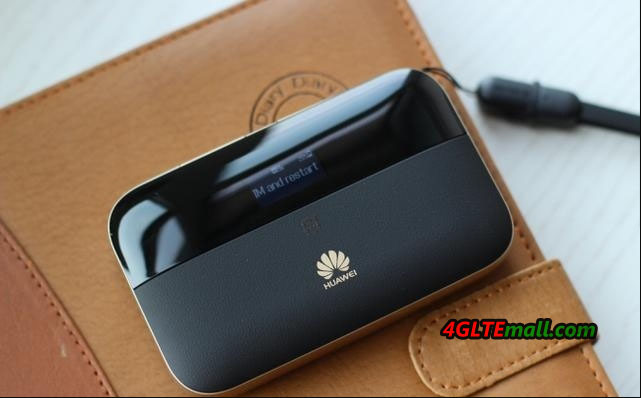 As a latest LTE gadget combining the functions of 4G mobile hotspot, Ethernet gateway and mobile power bank, Huawei E5885 mobile WiFi Pro 2 is a powerful and practical partner for outdoor activities or business travel. With the cool design and good touch feel, we can’t praise more on the small pocket router. The easy setup and management is also very good for most users. 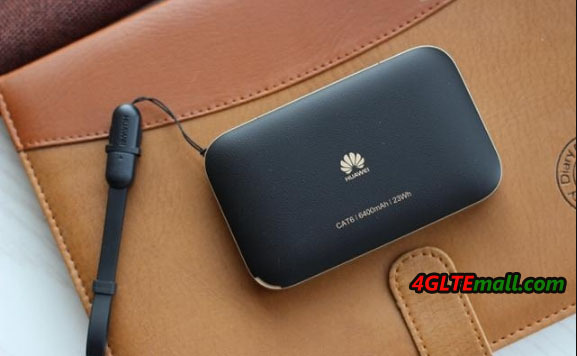 Huawei Released the Huawei Mobile WiFi Pro 2 with LTE-A support recently to replace the current well-known Huawei Mobile WiFi Pro E5770, which support on LTE cat.4. Actually, Huawei also presented a similar model to Mobile WiFi Pro E5770 in Chinese market, the model number is Huawei E5771 and it’s also named Mobile WiFi Pro. In this article, we will have a look at what’s the difference between Huawei Mobile WiFi Pro 2 and Huawei E5771 Mobile WiFi Pro. 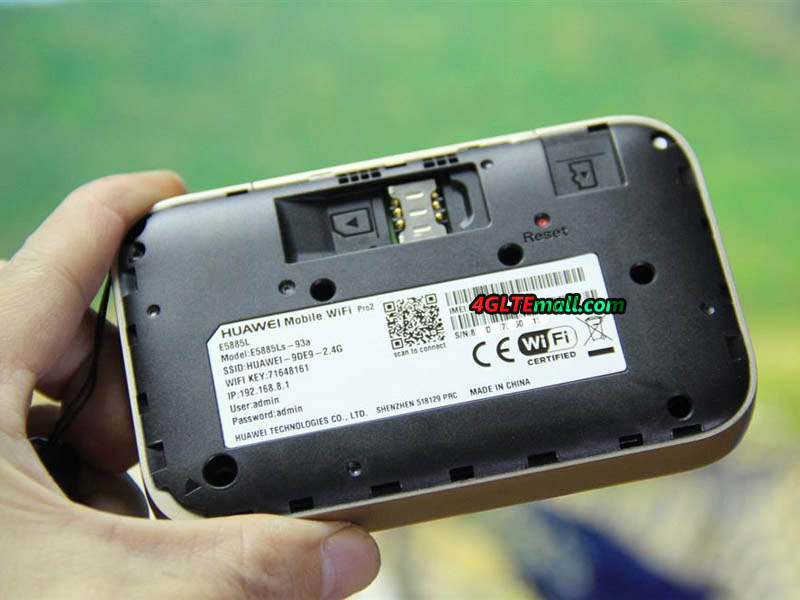 The new Huawei Mobile WiFi Pro 2 has a small LED screen which to show the connection status, but Huawei E5771 WiFi Pro has only the power button and huawei logo on the front. 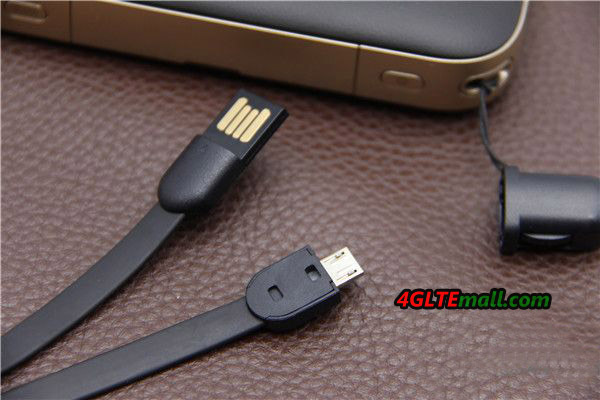 They are both supplied with a short tap, which can hold the device and can also be used as USB cable for battery charge and data connection to PC. On the back, there Huawei Mobile WiFi Pro 2 shows the battery capacity to 6400mAh while the Huawei E5771 shows the battery of 9600mAh, which is amazing for long time working and charging other devices. 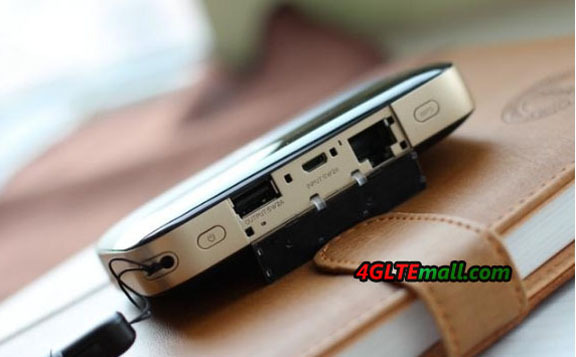 With the large battery, the Huawei E5771 and Mobile WiFi Pro 2 are not thin, the thickness provides the possibility to set the USB port and Ethernet port at the body side. Huawei E5771 WiFi Pro has on output USB and input USB port at side while the Mobile WiFi Pro 2 has extra Ethernet port besides two USB ports. 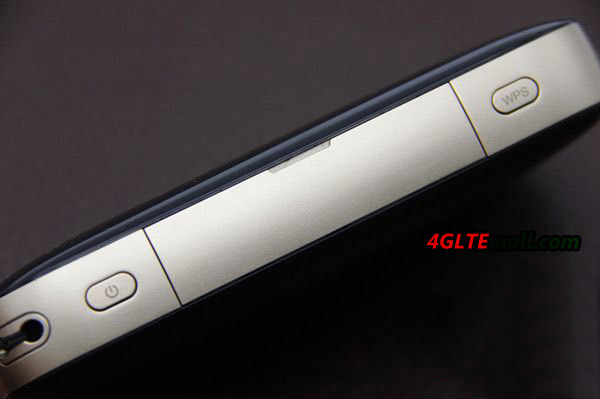 Unlike Huawei E5771, Huawei Mobile WiFi Pro 2 has the power button and WPS button at the each side of the interfaces. 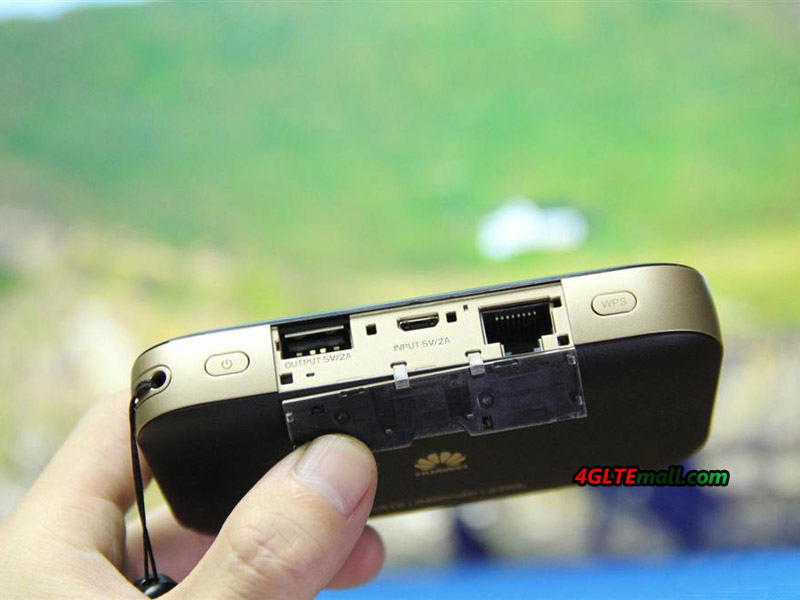 However, we didn’t find the ports for external antennas, which are available in many other Huawei E5 mobile hotspots. As the latest Huawei Mobile WiFi, Mobile WiFi Pro 2 could support the latest LTE-A networks with LTE Cat.6 chipset to provide possible download speed to 300Mbps and upload speed to 50mbps. The Huawei E5771 WiFi Pro could support LTE Cat4 providing download speed to 150Mbps, which is only half of the speed from Mobile WiFi Pro 2. They both support 4G LTE TDD-LTE/FDD-LTE networks with backward of 3G & 2G networks. 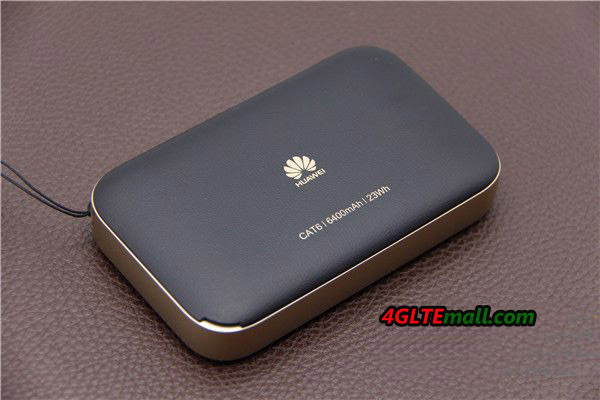 As we know, the Huawei E5771 has many sub-models for different network providers and markets. 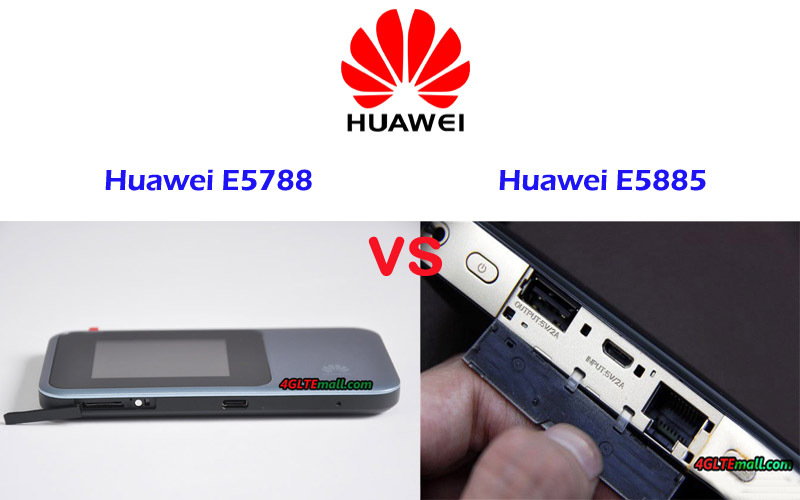 There are Huawei E5771s-852, E5771s-856 and Huawei E5771h-937. We suppose the Huawei Mobile WiFi Pro 2 would also have many variant models, the specific model would be known when they are presented to the market. 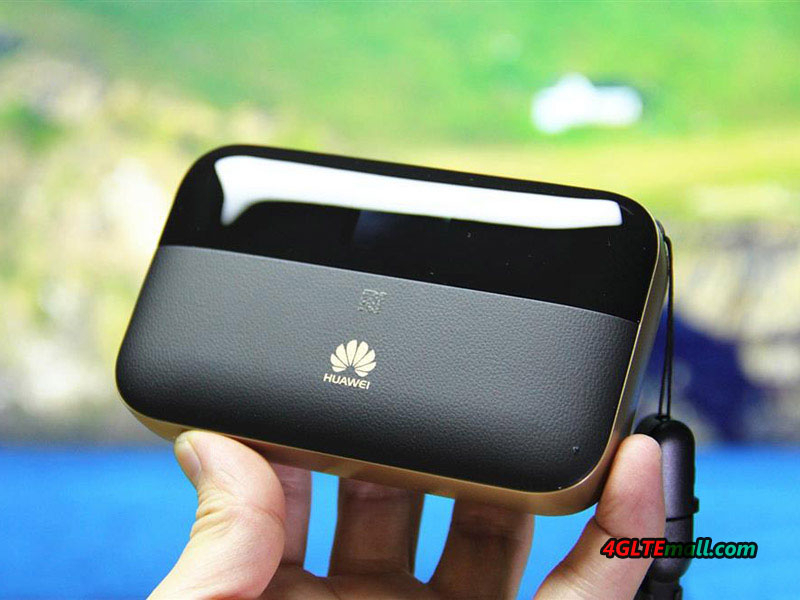 As a mobile pocket WiFi, Huawei E5771 could support up to 10 wireless devices to access internet simultaneously while the Huawei Mobile WiFi Pro 2 can provide internet access for up to 32 users. And the RJ45 LAN port provides one more option for users get connected with internet. The most attracting feature of the two Mobile WiFis should be working as the mobile power bank to charge other electric devices such as smartphones, Pads, Game terminals etc. The large battery of Huawei E5771 Mobile WiFi Pro shows its advantage on this point. It can only keep itself working long time, but also charge other devices for many times. The WLAN standards of Huawei Mobile WiFi Pro 2 are IEEE 802.11a/b/g/n/ac with dual-band while Huawei E5771 provides WLAN on 802.11b/g/n, missing ac and single band on 2.4GHz. As the standard offer for Huawei devices, Huawei Mobile WiFi app is available for users to do simple setup of the two mobile routers and if you need the advanced setting, you’d better enter into the web interface 192.168.x.1 from a browser. 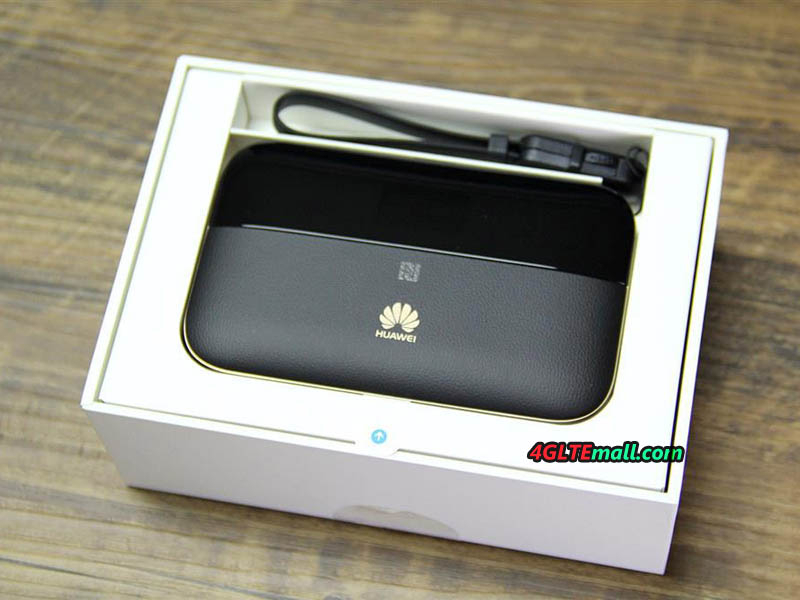 In our opinion, the Huawei Mobile WiFi Pro 2 looks cool in appearance, and with the advanced features for LTE networks, it’s really useful for users, but Huawei E5771 WiFi Pro’s large battery and decent function, which is also enough for most users. 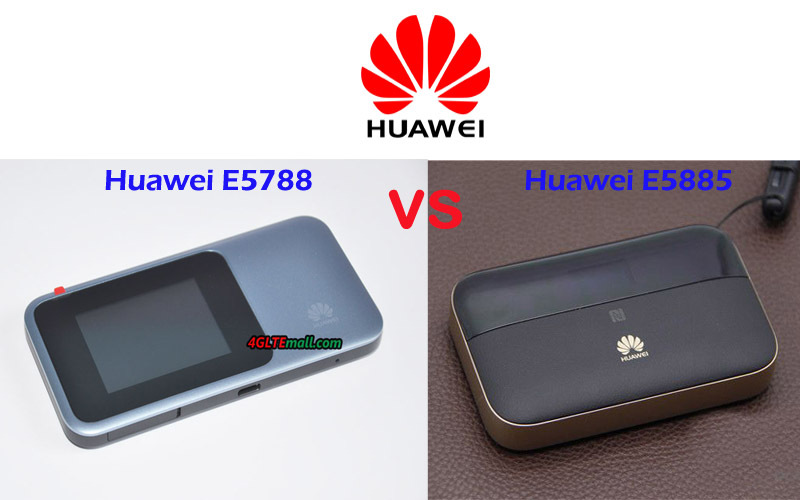 Actually, Huawei E5771 is a budget mobile WiFi hotspot comparing with Huawei Mobile WiFi Hotspots.